Monterey Hills students presented biodegradable paper straws to city council members to advocate for more sustainable living. 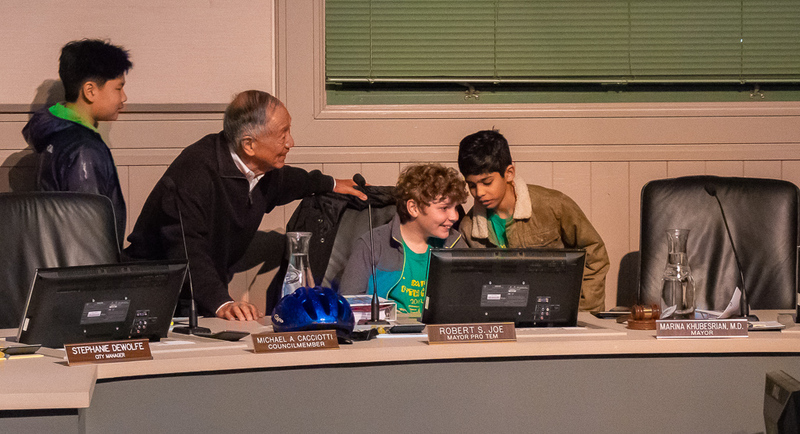 Monterey Hills Elementary students Ethan Burger, Isaan Mehta, Peter Rosemann, and Wyatt Woo presented their case at the biweekly city council meeting. Monterey Hills Elementary School students and parents rallied at the South Pasadena City Council meeting Wednesday, Jan. 16 to bring awareness to the environmental dangers of single-use plastic straws. The student speakers passed out biodegradable paper straws to both the public and city council in an effort to encourage environmental awareness and sustainable lifestyles. The students referenced Assembly Bill 1884 which was enacted across California in September 2018. The bill, introduced by State Assemblymember Ian Calderon, states that “sit down restaurants cannot automatically give customers single-use plastic straws.” Among a multitude of other businesses, fast food restaurants are exempt from the policy, meaning only full service restaurants cannot give plastic straws — unless the customer requests one. 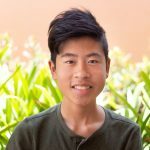 Students Ethan Burger, Ishaan Mehta, Peter Rosemann, and Wyatt Woo realized that the fast food trucks that come to the weekly South Pasadena Farmers’ Market are therefore able to bypass the bill and continue serving single use plastic straws. In response, the group sought to solve the issue by instead passing out biodegradable paper straws at the farmer’s market. The council congratulated the students for their environmental awareness and invited them to the city’s police and fire stations in hopes of furthering their involvement in the community. The mayor and council additionally promised to consider plans to pass an ordinance later in the year that would ask the state to apply the plastic straw ban to fast food restaurants statewide. “That is a very important concern and we are glad [the youth] are getting involved in environmental matters,” Mayor Marina Khubesrian said. South Pasadena has continuously moved towards more environmentally-conscious policies over the years. The city implemented a ban on styrofoam food service ware in January 2018. Vendors and food providers are no longer able to provide the non-biodegradable and non-recyclable material within city limits. Councilmember Diana Mahmud, a member of the Natural Resources and Environmental Commission, has been pushing for further environmental action ever since joining the city council in 2015. Mahmud most recently changed the city’s default energy source from 50 to 100 percent renewable. All city-provided energy will now be completely sourced from non-greenhouse gas producing sources unless residents decide to reduce the amount of clean sourced energy to their property. The student group plans to continue giving out paper straws at the farmers’ market on Jan. 24 and Jan. 31.